A little extra kick is the spice of life. Thanks to freshly-ground pepper from the WMF pepper mills, it's easy to add an extra kick to your cooking. Anyone who has ever tried freshly-ground pepper will be able to tell it apart from industrially-produced ground pepper straight away. Spices start lose their flavour as soon as you open the packaging. Ground pepper often has only a hint of its unmistakable original aroma, and serves only to increase the level of heat. However, pepper is much more than just hot. It can taste exotic or smoky as well as aromatic and intensive. There is plenty to discover in the world of spices. To enjoy the true intensity of pepper you should use one of the high-quality WMF pepper mills, which guarantee the enjoyment of fresh spices. As different as the WMF pepper mills look on the outside, they are all the same on the inside. They are all based on the proven Ceramill® grinding mechanism. It is made from ceramic, which is even harder than steel and therefore lasts for a particularly long time. It is resistant to abrasion or corrosion and therefore looks almost as good as new even after years of use. You can use the adjusting wheel on the grinding mechanism to determine how finely you want the pepper to be ground. As a garnish to make steak and other meats look especially attractive, it is a good idea, for example, to just grind mixed pepper corns coarsely – this is a real eye-catcher guaranteed to make you feel hungry. The aroma lid fits tightly around the opening of the pepper mill, keeping out humidity and other odours.  WMF is a master of design: You can choose from a vast range of designs and varieties of pepper mills. The classic wooden, curved designs are extremely popular, from the small mill for the table to the prestigious 60 cm high pepper mill. In our online shop you will also find many varieties made of easy-care Cromargan® stainless steel, some of which feature a glass insert. These not only look attractive, but also enable you to keep an eye on the fill level. Many of the pepper mills on offer can also grind salt and are therefore also listed among the salt and pepper mills. Discover the wide variety of pepper mills in the WMF online shop today!